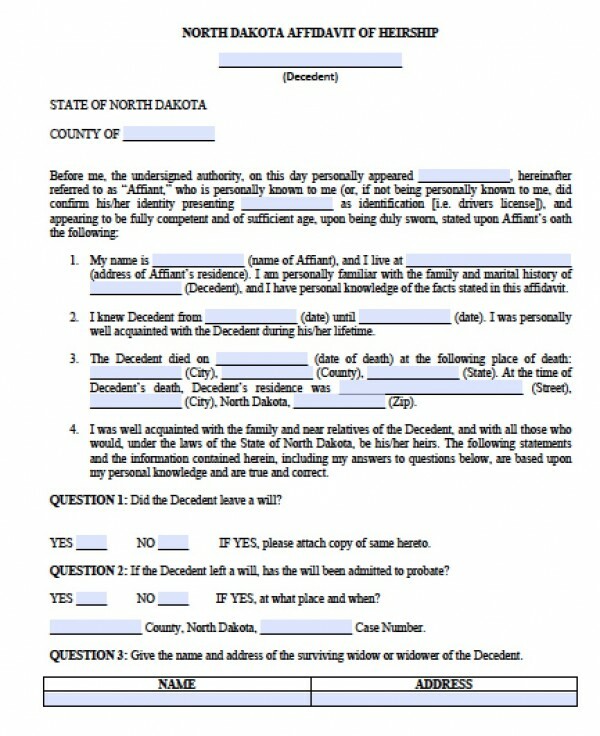 The affidavit of heirship in North Dakota is governed by statute 30.1-23-01. (3-1201). 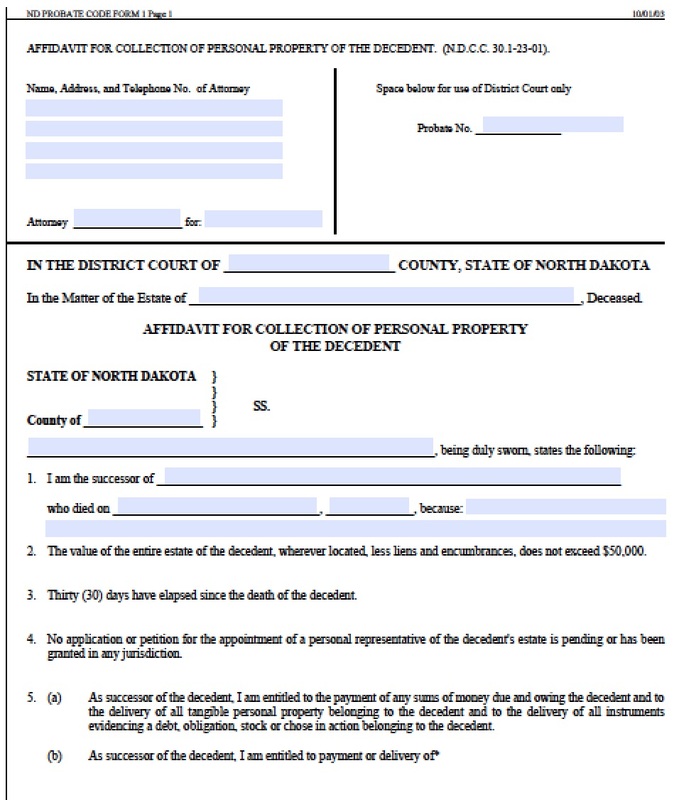 For loved ones who wish to claim a decedent’s personal property such as bank accounts, trusts, or vehicles, there is a 30-day waiting period after filing the affidavit of heirship, and the personal property may not value more than $50,000.